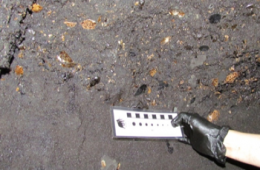 Cogstone’s paleontological experts can quickly evaluate significance when fossils are discovered during surveys or earth-moving activities to help our clients avoid costly delays. 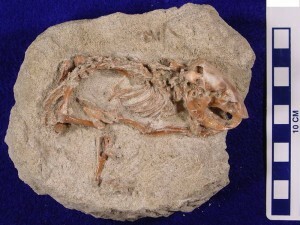 They are experienced in the collection and salvage of fossils and are well-trained in federal and state legislation regarding paleontological resources. We have completed paleontological projects in all market sectors and are confident that we can help you achieve your goals of meeting regulatory compliance. Our key paleontological staff have more than 100 years of combined experience and are certified paleontologists in all California municipalities that maintain lists and are listed on Cogstone’s state-wide Bureau of Land Management (BLM) permit for conducting paleontological work in California. We require each member of our team to participate in a minimum of 16 hours of paleontology field training per year. As a result, this enables us to staff projects with archaeologists who are cross-trained in paleontological resources identification and allowing us to pass on significant cost savings for dual-monitors. 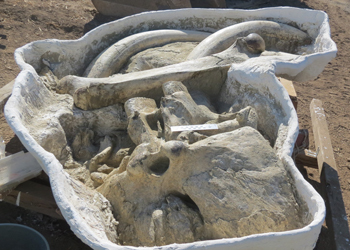 Paleontology is the study of the fossilized remnants of ancient life, including animals and plants as diverse as mammoths and seaweed, as well as trace fossils consisting of trackways, burrows and other indirect evidence of ancient life. 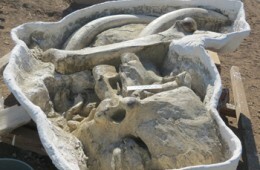 Although some are visible on the surface, most fossils are discovered during earth-moving excavations on construction projects. For example, ancient marine fossils have been found during storm drain and subway construction under the streets of Los Angeles. 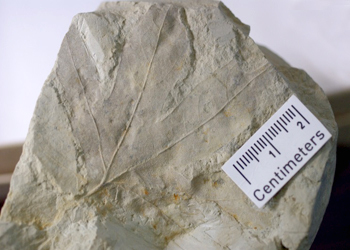 Determining significance of fossils and localities is complex and evaluated pursuant to professional standards developed by the Society of Vertebrate Paleontology. A significant fossiliferous deposit is a rock unit that are comprised of one or more identifiable vertebrate fossils, and any associated invertebrate and plant fossils, traces and other data that provide taphonomic, taxonomic, phylogenetic, ecologic, and stratigraphic information. An area’s paleontological sensitivity can only be determined after a field survey of the rock unit and a review of available paleontologic literature and locality records. 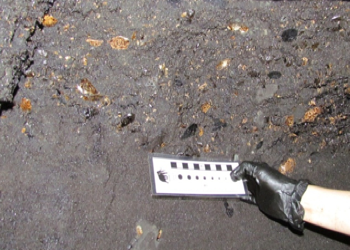 Subsurface excavation may be necessary if no data for the area exists.